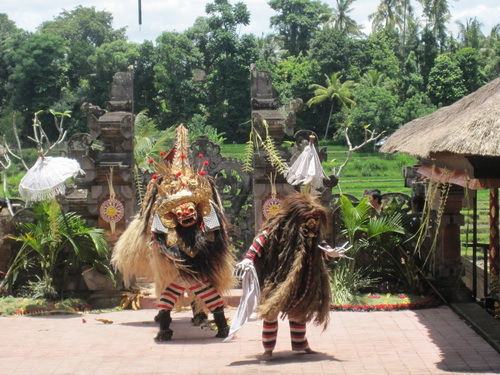 Barong and Kriss dance is daily cultural dance performance in Bali Island . 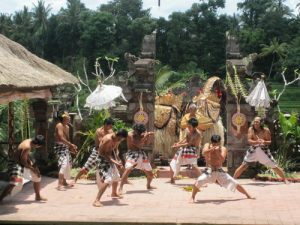 Usually perform at 9 : 30 am to 10 : 30 am in various stage around Denpasar . 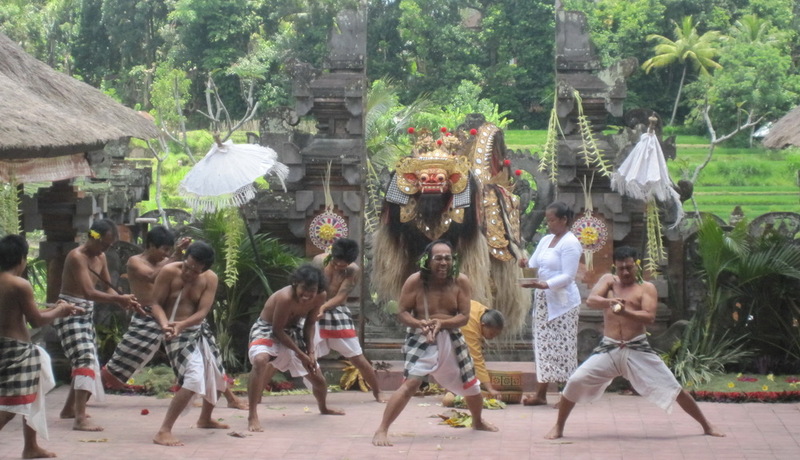 The theatrical Balinese dance is telling the story of never ending fight between good and evil . Barong is a form of good spirit , a protector who will always be our side to protect us from evil spirits . However our life is a part of good and evil itself . A never ending fight of good and evil is a real story of our life that perform on that spectacular show . Barong in our language coming from word bar – u – ang , in our writing the letter u and a pronounce o . Baruang is a bear in our language , name of Barong is to identify the form of this creature in the Balinese Hindu mythology . A lion shape or also look like bear animal with scary long fangs on his mouth and long hairs on his body . 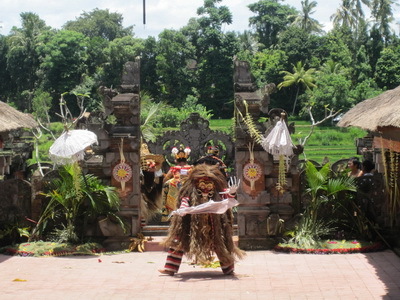 This Barong usually perform by two man dancers . In another side there’s an evil character which is call Rangda , a very scary woman form with long white hair and scary face . Rangda from Hindu Mythology is quin of evil , who will always trying to destroy the peace with his magic power . Long tongue into the stomach as a symbol of hunger that always wants to kill and prey . Glower eyes is a symbol of anger , cruelty , ruthless and selfies and believes that he is the strongest one . A fire symbol on her head is a symbol of the supranational powers that also blessed by the creator . 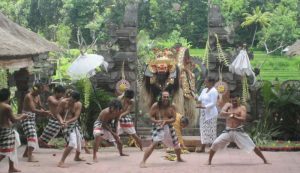 Barong and Kriss dance performance is a very spectacular Balinese theatrical dance accompany by Balinese Gamelan instrument . All the dance with colorful and beautiful costumes and every form has its unique character . 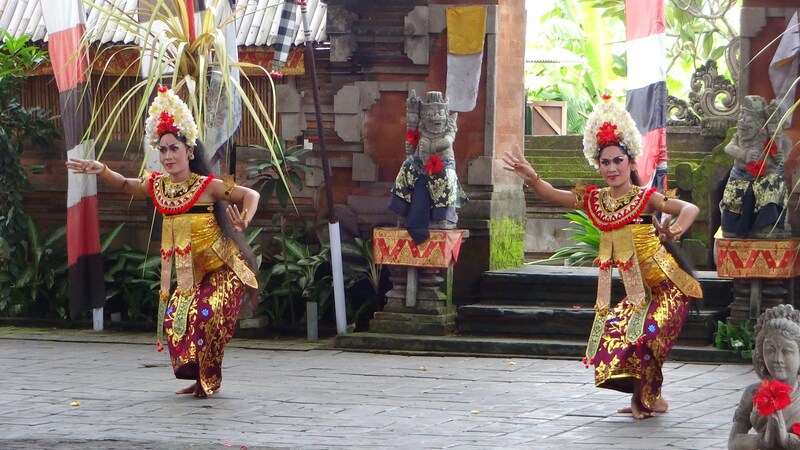 In the middle of the story you will see two beautiful girls with Balinese costumes perform a beautiful dance . At the end of the dance is the high point of the story where all the kingdom troops are in trance . The are stab himself with his own weapon but with help of Barong supranatural powers make the troops are immortal . The knife can’t cut their skin or heart them . The ticket of Barong and Kriss dance is 100.000 rupiah / person and you may organize with us , Bali Private Driver . 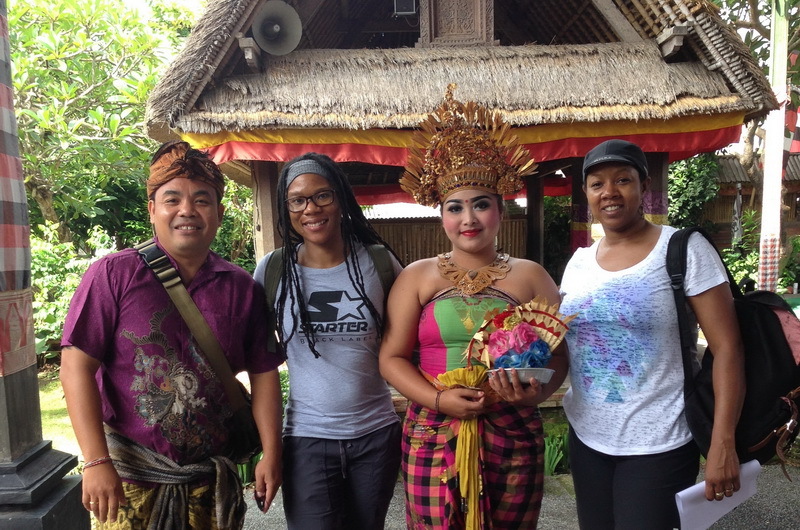 This performance usually as the first stop of the tour program and also suitable for some tour itinerary direction .